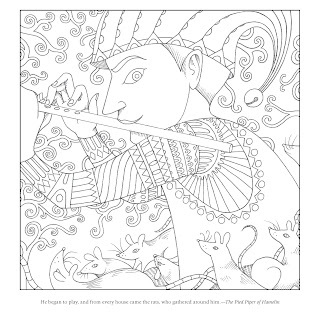 Rackham's Fairy Tale Coloring Book (Dover Classic Stories Coloring Book) is not a new coloring book and predates--like many Dover coloring books--the current art therapy/coloring book trend. I love Arthur Rackham's illustrations and this book offers black and white renderings of his color paintings for you to color yourself. 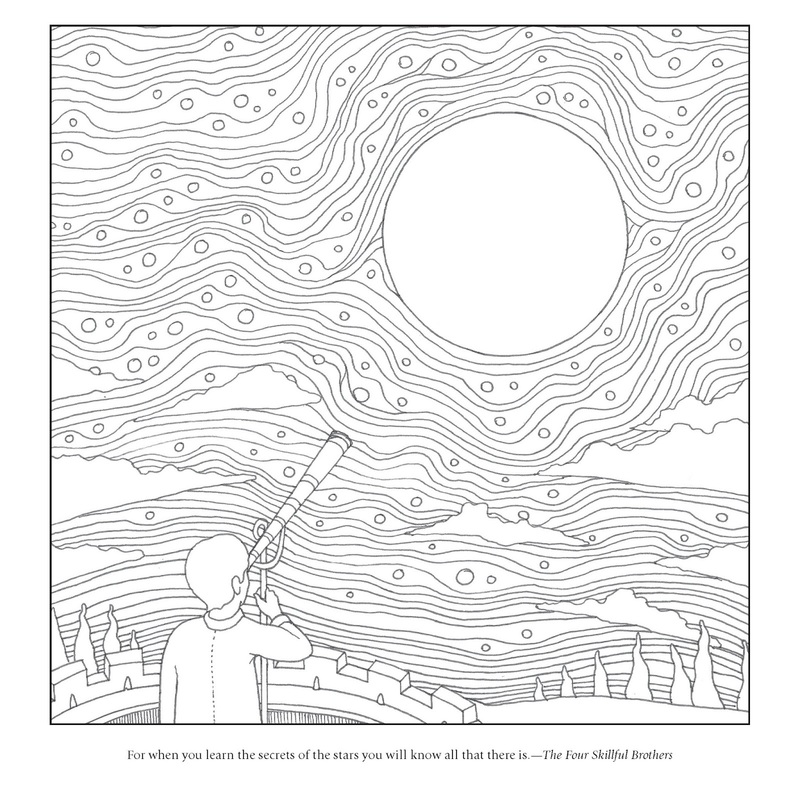 The other bonus is that this is priced much lower than most of the other coloring books on the market right now. 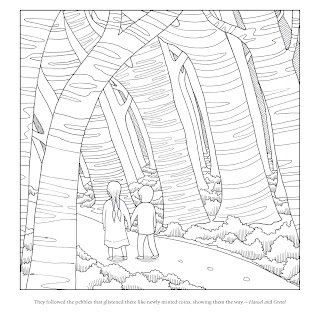 The book also offers full text of the fairy tales, so essentially you get to read the stories, see the illustrations and then color them yourself. Preserving all of the characteristic elegance and charm of Rackham's original drawings and watercolors, 30 renderings capture scenes from "Hansel and Gretel," "King Thrushbear," "Doctor Know-All," "Snow White," "Rapunzel," "Sleeping Beauty," and more. 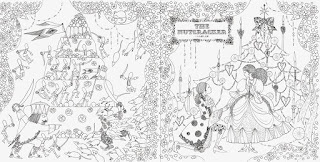 The coloring book also includes story adaptations of 17 Grimm fairy tales that retain the folk flavor of the originals. Here are some more sample pages from the book. 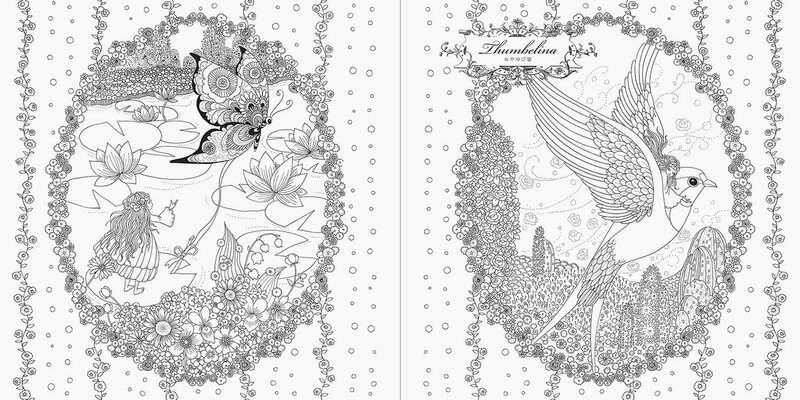 Princesses and Fairies Colouring Book (Japanese Edition) by Tomoko Tashiro. 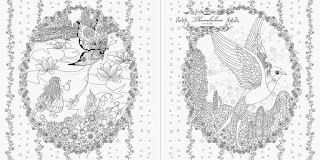 So last week's post on Coloring Book Week: Fairy Tale Colouring Book by Tomoko Tashiro was one of the most popular entries. 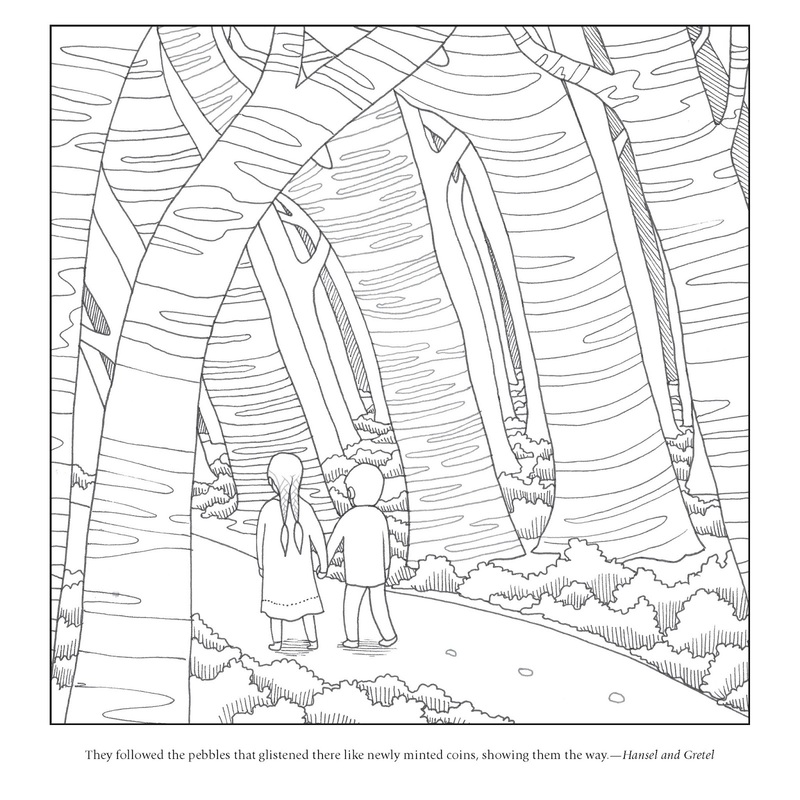 Good news is that next week a second coloring book featuring more fairy tales will be released. 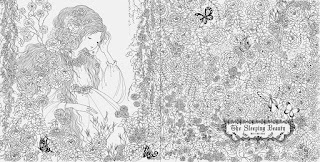 Fairy Tale Colouring Book (Japanese Edition) is so popular that it keeps going out of stock so I imagine this one will be a big hit, too, especially with offerings like Cinderella, Sleeping Beauty, Thumbelina, Little Mermaid, and Snow White. I wanted to give you a chance to preorder for the release date if you are a fan. Click on any of these pages to view them larger. 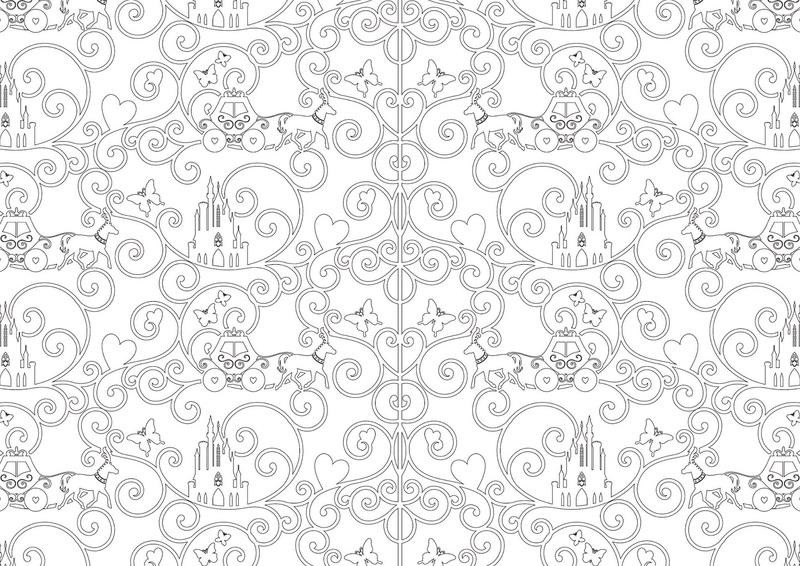 Color your own fairy tales! 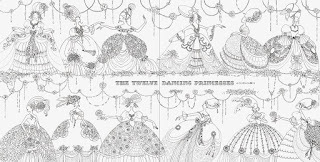 The Princesses and Fairies Colouring Book is a follow-up to the Fairy Tale Colouring Book illustrated by Tomoko Tashiro. Princesses and Fairies includes drawings inspired by fairy stories such as Cinderella, Sleeping Beauty, Snow White and the Seven Dwarfs, A Midsummer Night s Dream, and more! Japanese illustrator Tomoko Tashiro, best known as a packaging designer for Shiseido cosmetics, presents exquisite artworks for coloring drawn from well known tales containing princesses and fairies. Besides wonderfully illustrated scenes taken from twelve canonical stories, Tashiro has added beautiful patterns and motifs for coloring. The finely wrought illustrations within this book are all drawn in Tashiro's signature Nouveau-influenced style. 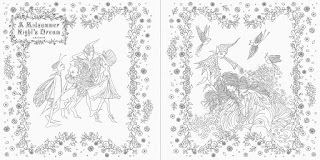 Princesses and Fairies Colouring Book makes a wonderful gift book for children as well as adults! 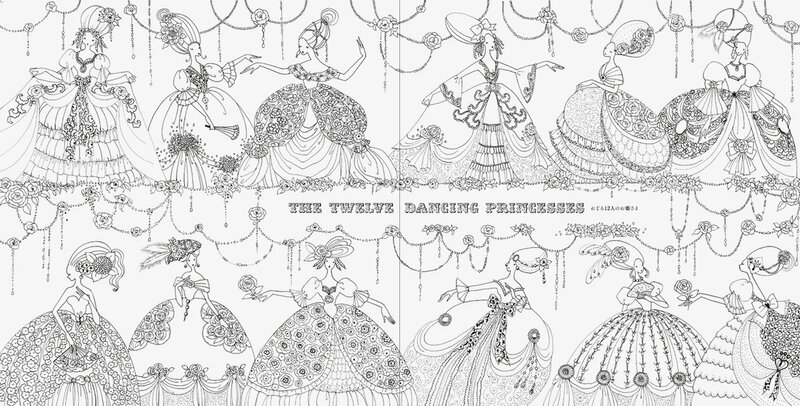 Japanese illustrator Tomoko Tashiro has created beautiful works inspired by twelve famous tales of princesses and fairies, additionally including some fairy-tale-inspired patterns and motifs in this highly unique coloring book. 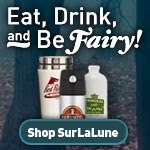 An ideal gift book for fairy-tale lovers of all ages. 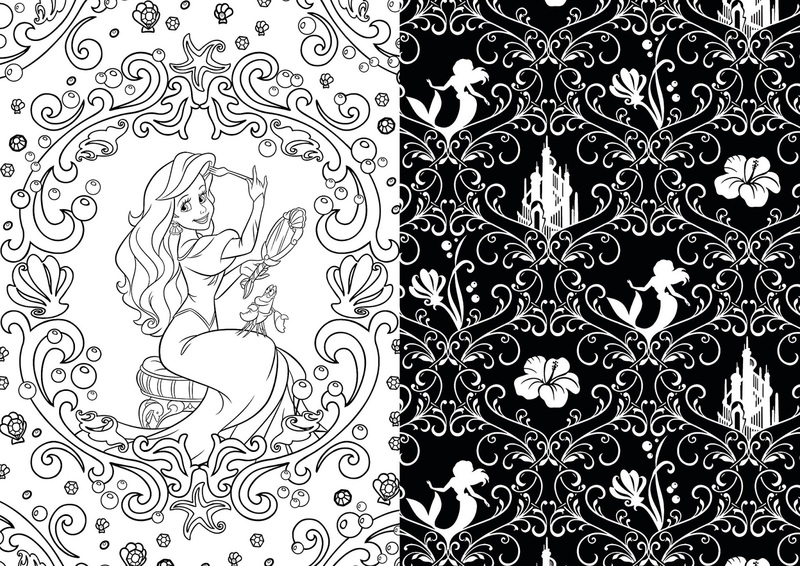 Art of Coloring Disney Princess: 100 Images to Inspire Creativity and Relaxation (Art Therapy) by Catherine Saunier-Talec and Anne Le Meur was released this past November. Disney doesn't need my help with promotion but I was surprised at how much I liked some of these illustrations. A few samples are below; as always click on them to view them larger size. Relax, and let the creativity flow through you. 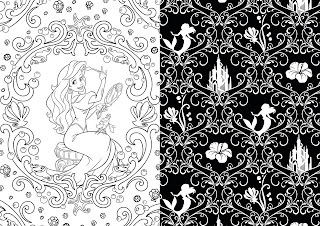 Whether a skilled artist or an everyday dabbler of drawings and doodles, fans of all ages will enjoy these stunning pen-and-ink illustrations of beautiful landscapes, elaborate patterns, and memorable characters from Disney's hit animated feature films featuring the Disney Princesses. 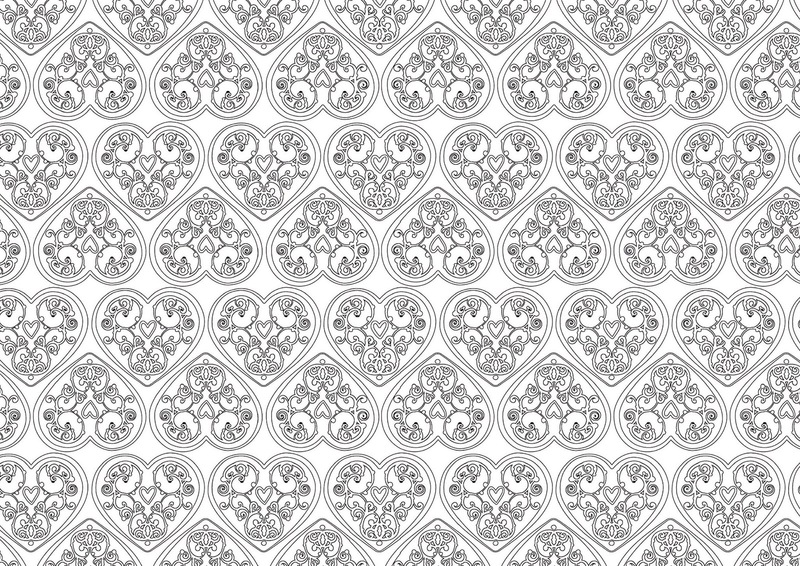 The lovely packaging includes a board cover with double metallic foil stamping. 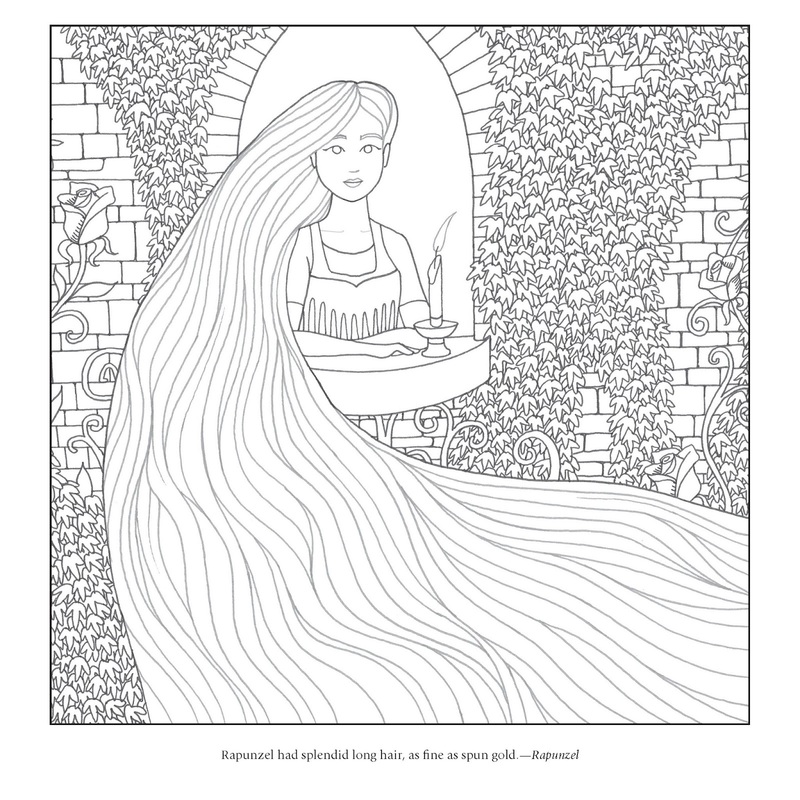 Once Upon a Time...: A Fairy Tale Coloring Book by Meredith Moriarty was released a year ago before the coloring book trend took off. I have several sample pages for this one. 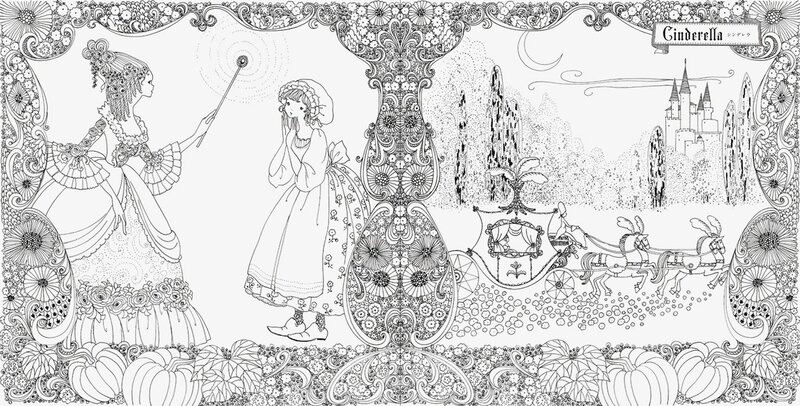 It is less full illustrations than character portraits, but with Vasalisa and The White Bride, we definitely have some lesser known fairy tales represented here! The magic of fairy tales spans across cultures and across time. Come take a journey with us as we travel the alphabet to meet the characters that make these tales come to life in this delightful coloring book. 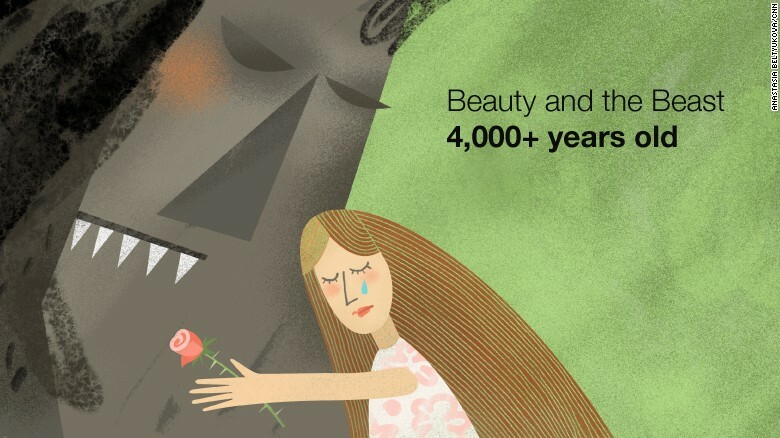 CNN put fairy tales on the front page this week with the article, Some fairy tales go back thousands of years, study says by Don Melvin. Read "Jack and the Beanstalk" to your kids this evening, and you are probably putting them in touch with human sentiments that are thousands of years old. Same goes if you read them "Beauty and the Beast," or maybe "Rumpelstiltskin." 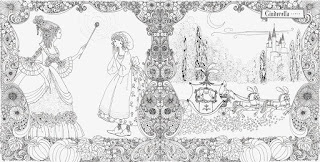 A new study has found that classic fairy tales may be "much older than previously believed," one of the authors, Jamshid Tehrani of the UK's Durham University, said Wednesday. Tehrani wrote the study with Sara Graca da Silva of the New University of Lisbon, in Portugal. Click through the article link to read more--there's not much in the article, but the study link offers the full study. It is dense but makes for interesting reading. And, of course, this isn't brand new theory. Try Fairytale in the Ancient World by Graham Anderson for one book about fairy tales before Straparola, Basile, and Perrault that is more readable than the study for the lay reader. The topics aren't the same, but the intent is similar. I liked the illustrations, too, and wanted to share them before they disappear into the internet ether. 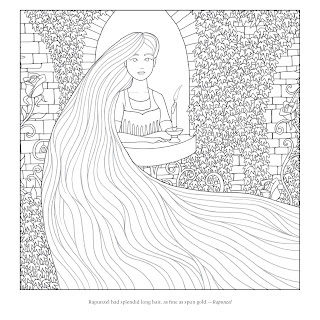 Once Upon a Fairy Tale (The Coloring Studio) by Maude Guesné is officially released this week. 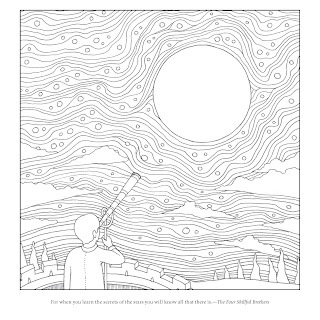 Unfortunately, I haven't been able to find images of the interior pages anywhere with the exception of a review by Beth at I Sniff Books (a great name for a book blog actually!). This is one of her images and my favorite because it is of Princess and the Pea. That gives you a taste of the illustration style. Check out Beth's review to see more images. Everyone loves to color! Now the whole family can relax and enjoy creative time together by bringing to life the lush and marvelous details of the world of make-believe, from Arabian Nights to Little Red Riding Hood to the Frog Prince. Each of these thirty-two eye-popping and easy-to-remove designs features a vibrant splash of color to launch your adventure. 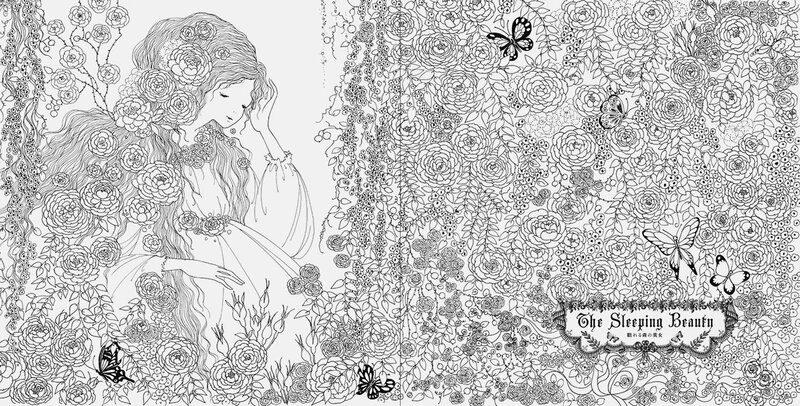 Fairy Tale Colouring Book (Japanese Edition) by Tomoko Tashiro was released in the US last year. I have several images of spread from this book. 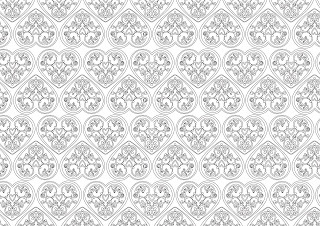 Just click on an image to see it larger. 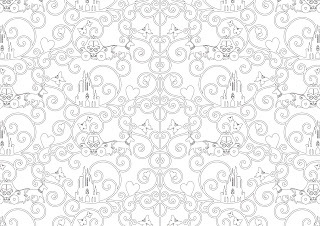 Another boon of this new fairy tale coloring book trend is that some less popular tales are being illustrated for the coloring books. 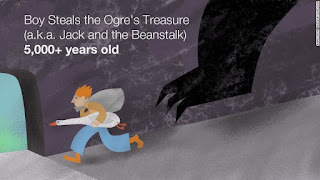 I always have a little frisson of excitement when I discover illustrations for lesser known tales, knowing that it's another opportunity for viewers to learn more about the stories. And for me it is always fun to see how an artist has interpreted a tale that has become so familiar to me. 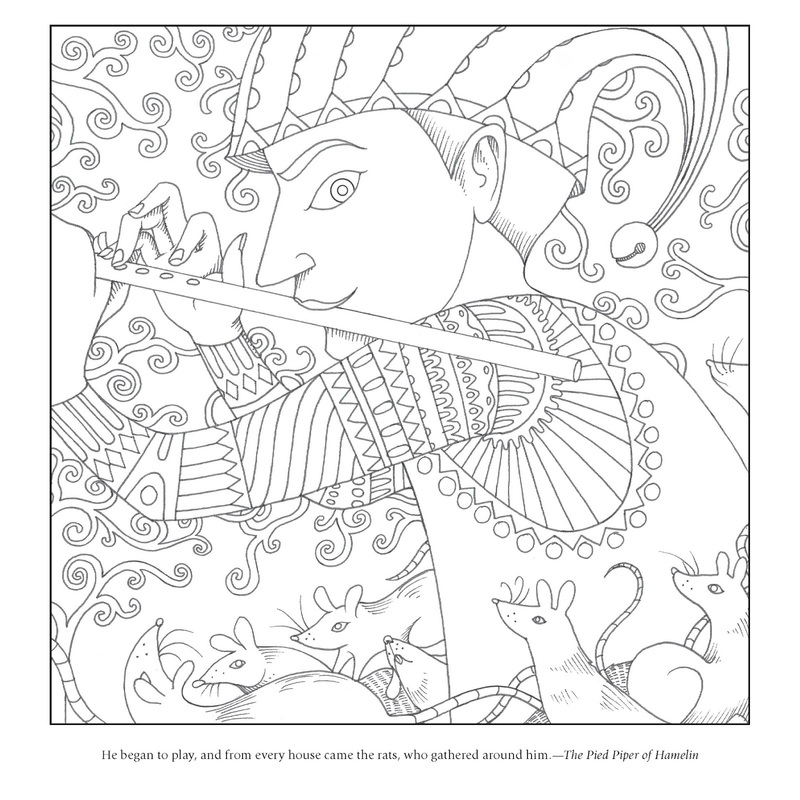 Color your own fairy tales! 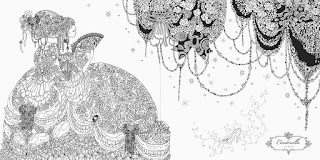 Japanese illustrator Tomoko Tashiro, who also works for package designs of Shiseido cosmetics, presents exquisite artworks for coloring from various fairy tales such as 'Cinderella,' 'Sleeping Beauty' and 'Hansel & Gretel.' 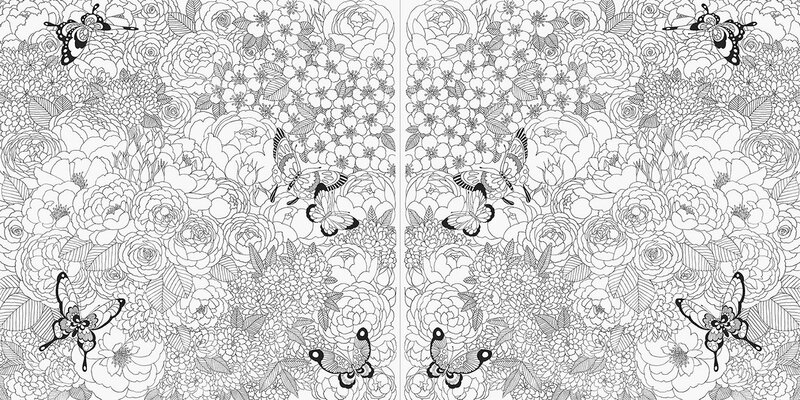 Not only scenes from such famous stories are included for coloring, but also beautiful patterns and motifs. This is an ideal gift book for children as well as adults who used to love reading fairy tales. 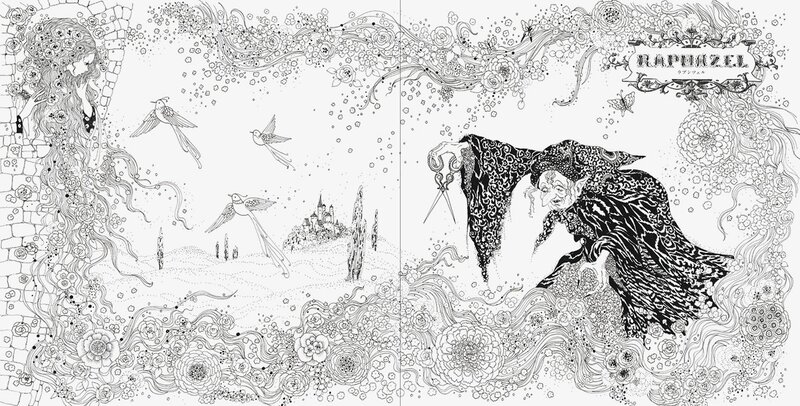 A Brothers Grimm Coloring Book and Other Classic Fairy Tales: Escape into a World of Fantasy and Imagination by Adam Fisher was released in November. 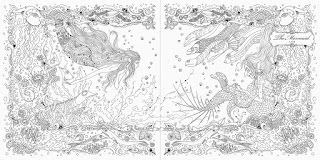 This is one of many new fairy tale themed coloring books for grown-ups that have arisen since the bestselling phenomenon started by the Enchanted Forest: An Inky Quest & Coloring Book and others. 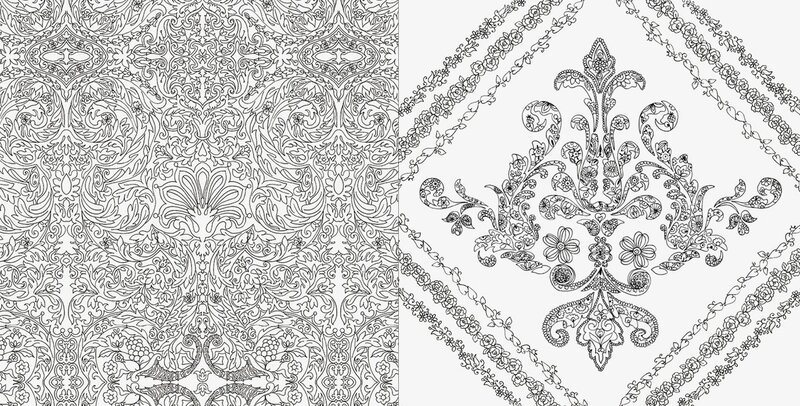 It's amazing how this coloring book therapy and relaxation trend has taken off so greatly for grown-ups. My friends and I did this for years but suddenly it is a fad and I think, "Duh, I should have promoted that. I never stopped coloring." 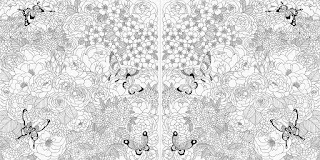 I am tempted to collect these since I enjoy coloring although I rarely do so since I spend my free and leisure time editing books instead. 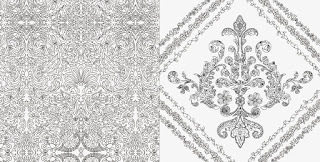 But since there are many of these on offer now, I am going to share posts this weeks of the new and old publications available as coloring books for grown-ups. And I hate saying "adult" since it sounds like they are mature rated, although some admittedly are. But we will avoid those here. 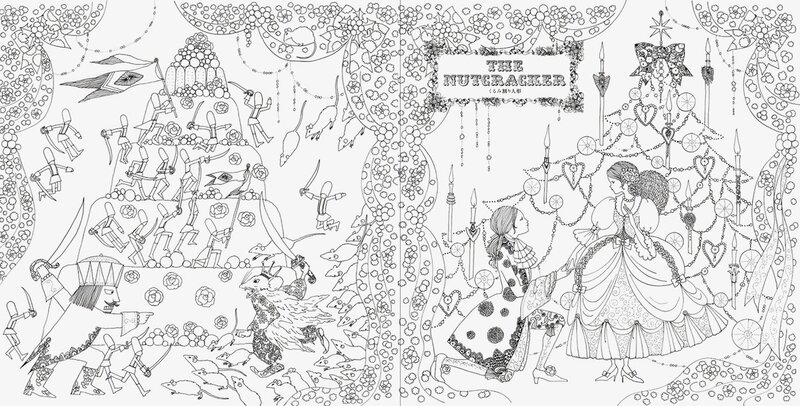 Fall under the spell of the folklore and fairy tales all over again in this gorgeous new coloring book for all ages. 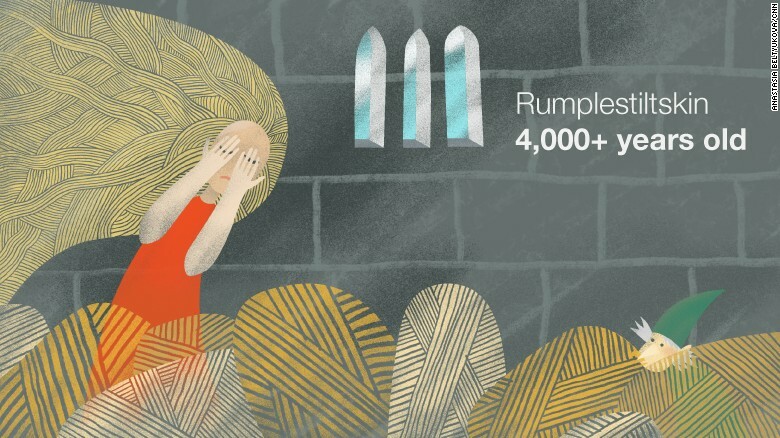 Rapunzel. Hansel and Gretel. Cinderella. Sleeping Beauty. Snow White. 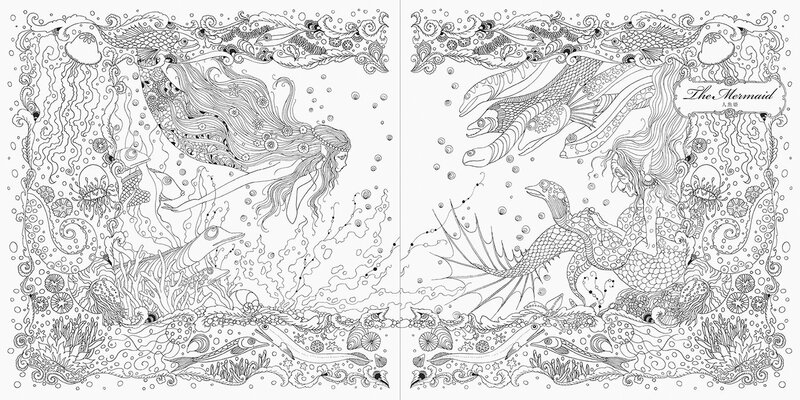 We've known these characters since we were children, but in this elegant new coloring book, these characters are waiting to be brought back to vivid life, through coloring. Based off of the masterpieces of the Brothers Grimm, acclaimed British artist Adam Fisher has created a black and white wonderland just waiting to be filled in. 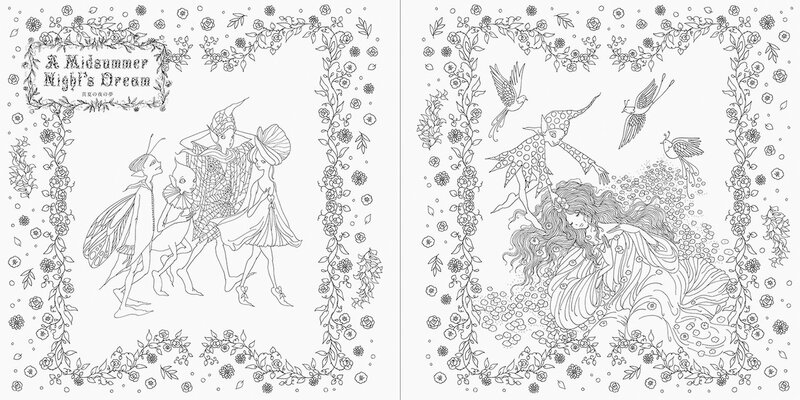 The tales originally began with "once upon a time," and now The Brothers Grimm Coloring Book: And Other Classic Fairy Tales offers a soothing escape into a world of inspiration and fantasy―where you create your own unexpected and colorful ending!